Sri Lanka’s animal-friendly cultural heritage really began 2300 years ago at the time when Arahant Mahinda encountered King Devanampiyatissa at Mihintale. Arahant Mahinda declared: “Oh! Great King, the birds of the air and the beasts have an equal right to live and move about in any part of this land as thou. The land belongs to the peoples and all other beings and thou art only the guardian of it”. Historical records tell us that King Devanampiyatissa after his conversion to Buddhism created the very first animal reservation in the world and outlawed hunting. In spite of the long history of such a heritage, regular reports expose cases of immense cruelty imposed on animals in Sri Lanka. Food animals are clubbed to death; The livestock farms are in appalling conditions; Zoo animals are kept caged for human entertainment, resulting their undergoing severe physical and mental suffering; Pet shops reminding us of Gestapo prisons; Some home pets are being chained, confined and left without sustenance when their owners are away; Stray cats and dogs are poisoned; Captive elephants are severely bruised due to heavy chaining. While many countries now recognise animals as sentient beings with a “Right to Life” by law and even Constitutional status, sadly Sri Lanka lags way behind. Take for example, our neighbour - India which is also home to several religious traditions advocating non-violence and compassion towards animals. This country has passed a number of animal welfare reforms since 1960. India’s first national animal welfare law, the Prevention of Cruelty to Animals Act, 1960, criminalized cruelty to animals. The same law also created the Animal Welfare Board of India with legal powers to ensure the anti-cruelty provisions were enforced and promote the cause of animal welfare. Subsequent laws have placed regulations and restrictions on the use of draught animals, the use of performing animals, animal transport, animal slaughter, and animal experimentation. The amendment in 2006 added limitation clauses on Breeding of and Experiments on Animals (Control and Supervision). The clauses specified that experimenters must first try to use animals “lowest on the phylogenetic scale,” use the minimum number of animals for 95% statistical confidence. In 2014 India became the first country in Asia to ban all testing of cosmetics on animals and the import of cosmetics tested on animals. In 2017 India released further amendments to regulate dog breeders, animal markets, and aquarium and “pet” fish shop owners. India has made vast strides in animal welfare legislation and effective mechanisms to implement laws. Sri Lanka can learn a lot from Indian experience. Animal welfare has been described as a complex, multi-faceted public policy issue. Improving our understanding of animal welfare, involves the study of animal behaviour as well as the challenge of accessing the emotions of animals. Some writers use the terms animal welfare and animal rights interchangeably, suggesting that they represent more-or-less the same concerns and practices. But the differences between the two are significant. Animal rights means that animals, (like humans), have interests that cannot be sacrificed or traded. However, animal rights, just like human rights, must be limited. For example, if animal rights are fully implemented, we cannot use animals for food, clothing, entertainment, or experimentation. However, animal welfare allows these uses as long as “humane” guidelines are followed. If we take an entirely practical approach, we can quote 5 “freedoms” which are internationally accepted as standards of care that affirm every animal’s right to humane treatment. (a) freedom from hunger and thirst - by ready access to fresh water and a diet to maintain full health and vigour; (b) freedom from discomfort - by providing an appropriate environment including shelter and a comfortable resting area; (c) freedom from pain, injury or disease - by prevention or rapid diagnosis and treatment ; (d) freedom to express normal behaviour - by providing sufficient space, proper facilities and company of the animal’s own kind ; (e) freedom from fear and distress - by ensuring conditions and treatment which avoid mental suffering. Embracing these five freedoms support the health and welfare of the animals in human care. They also provide adopters with the best possible insight into the personalities of the adoptees. But do the animals in Sri Lanka truly enjoy these freedoms? Definitely not! That is why cruelty to animals in our country has become a key issue today. The published incidents of animal cruelty are just the tip of the large iceberg. A few of them might have happened due to a lack of awareness but majority of them were deliberately done. Our existing legal framework related to animal welfare is pathetically inadequate to protect animals from such inhumane treatment. The Prevention of Cruelty to Animals Ordinance in Sri Lanka under which welfare is 112 years old, and obviously an outdated piece of legislation. Our failure to repeal this antiquated statute has created a public impression that the successive Governments lacked the political will to bring about legislative improvement of the laws governing the welfare of animals. In spite of this deadlock, there were two significant developments on animal welfare during the last ten years. In February 2009, Ven. Athureliya Rathana Thera, M.P. introduced to Parliament a draft Animal Welfare Bill. At the same time, the Law Commission of Sri Lanka, after extensive consultations with the public and examination of laws of other jurisdictions, prepared Animal Welfare Bill. It was introduced in Parliament in February 2009. Both bills have now lapsed. In 2015, the present Government also brought forth this Bill under its 100-day programme. However, the draft Bill has not yet been presented to Parliament. 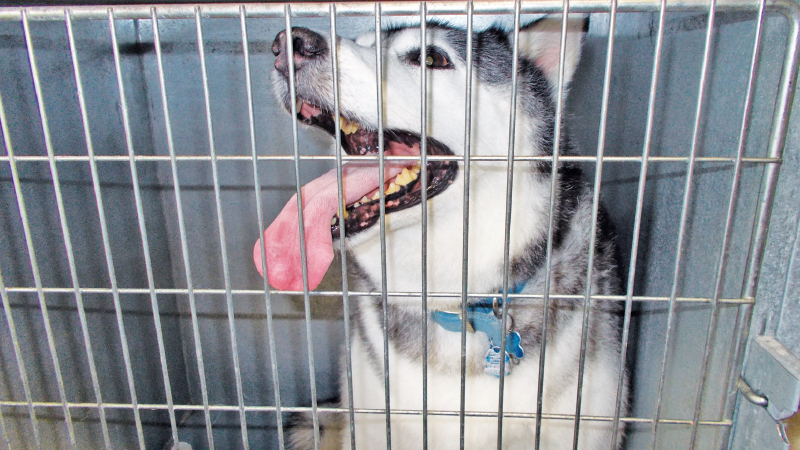 The Bill is supposed to replace the Prevention of Cruelty to Animals Ordinance, No. 13 of 1907 and bring the law in line with modern legislation by providing for natural justice and basic freedoms to be extended to animals. There are four objectives of the Bill: i) to recognise a duty of care on part of persons in charge of animals to treat the animals humanely, ii) to prevent cruelty to animals and to secure the protection and welfare of animals, iii) to establish a National Animal Welfare Authority and to provide for Regulations and Codes of Practice, and iv) to raise community awareness on animal welfare and foster kindness, compassion, and responsible behaviour towards animals. The Bill also has redefined the term “animal” to encompass every living being other than a human-being. The current law applies only to animals in captivity or domestic animals, leaving important sectors such as wildlife without any protection. Welfare issues related to animals in pet shops, animal experimentation, animal performance and the live transport of animals, (though not included in present legislation), are also included in the new Animal Welfare Bill. The Animal Protection Index issued yearly by an international non-profit animal welfare organisation, establishes a classification of 50 countries around the world according to their commitments to protect animals and improve animal welfare in policy and legislation. For example, India has a grade of C out of possible grades A, B, C, D, E, F, G on Animal Protection Index-2018. Grades are given based on the achievement of following: Formal recognition of animal sentience, Support for the Universal Declaration on Animal Welfare, Laws against causing animal suffering, Protecting animals used in farming, Protecting animals in captivity, Protecting companion animals, Protecting animals used for draught and recreation, Protecting animals used in scientific research, Protecting the welfare of wild animals, Government accountability for animal welfare, Engagement with the World Organisation for Animal Health. Sri Lanka is not registered with this international organisation. Therefore, there are no ratings or statistics of us. We are a country with a historical and cultural tradition of animal welfare. The Animal Welfare Bill is clearly aligned with Sri Lanka’s cultural heritage and values. It could be easily passed with the full support of all right-thinking leaders. What is needed is only the Government’s commitment.